Training in Library Science was instituted at the University in 1958 and the first Diploma Course in Library Science was introduced in1958-59. Diploma Course was converted into the Bachelors Degree in 1965. So far over 1500 students have completed their Bachelor Degree & training in Library Science from the University of Pune. Most of its alumni have stayed in the profession and many of them are occupied higher positions of responsibility in academic and special libraries. 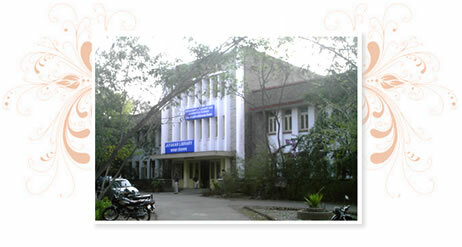 The Department of Library and Information Science was established under the faculty of Mental Moral And Social Sciences in 1978 and the Board of Studies in Library & Information Science was constituted. Also in conformity with the national policy and the directives from the University Grants Commission, two years integrated M.L.I.Sc course was introduced from 2002. The department is also conducting M.Phil. and Ph. D programmes. Spot admission for MLISc in the Department of Library & Information Science for the academic year 2018-19..
Department of Library & Information Science- MLISc 3rd round of admission 2018-19. List of 2nd Round of admission for MLISc (2 years). Department of Library & Information Science- MLISc Ist round admission 2018-19. Notice regarding the entrance examination to be conducted at the department of Library & Information Science.